I didn’t think we would have gotten any pears this year and because my garden didn’t do so well. 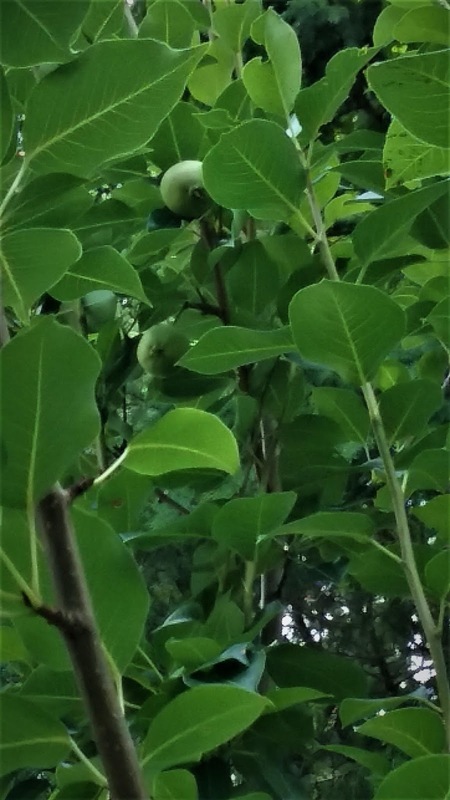 This Pear tree surprised with not one but three pears, but two were hidden towards the top of the tree. You have to look closely at the picture to see the other two Pears. Now the problem is trying to reach them once they are ready to be picked. 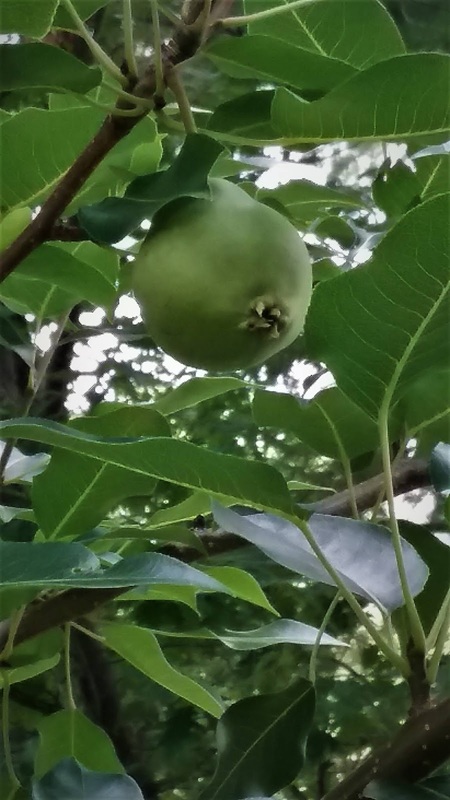 Pear trees can be very generous, as yours ages you will have many more pears to pick but note that some are bi-annual so you only get a good harvest every two years.